1. "I'm going to work out everyday"
No you aren't. Unless you just love to workout. Don't hold yourself accountable if you don't feel like running after a previously long day of sightseeing and exploration. (And drinking. :-) ) yes you wanna look good in your pictures on the beach but confidence makes you lose 10lbs! 2. "I don't want to miss anything so I'm gonna make sure you get up early!" Break it ! The point of a vacation is to relax, listen to your body if you're tired it's better in the long run. Getting up early but being so exhausted you have to take a mid-day nap is, counter productive! 3. "I must see everything in the trip advisor list"
This is admirable, but don't drive yourself crazy. It's a vacation not a to do list. Go off the unbeaten path, and allow spontaneity to guide you! 4. "I'll leave this event to get an early start tomorrow." Why? Why should you leave the fun you are having for unpredicted enjoyment tomorrow. Live in the moment. Lose some sleep, and still get up tomorrow if it's something you really want to do. 5. "It doesn't interest me but everyone goes here when they come. " What the hell. It's on the list because I have heard this before! Life is way to short to spend it doing things you aren't even interested in. It's ok if you hate museums/ long lines and don't care to see the Louvre. (Don't speak on it though) but you may indulge in a different experience, like visiting the Moulin Rouge or Parisian nightlife. I'll go on but I think that's pretty explanatory. Life is to be enjoyed. 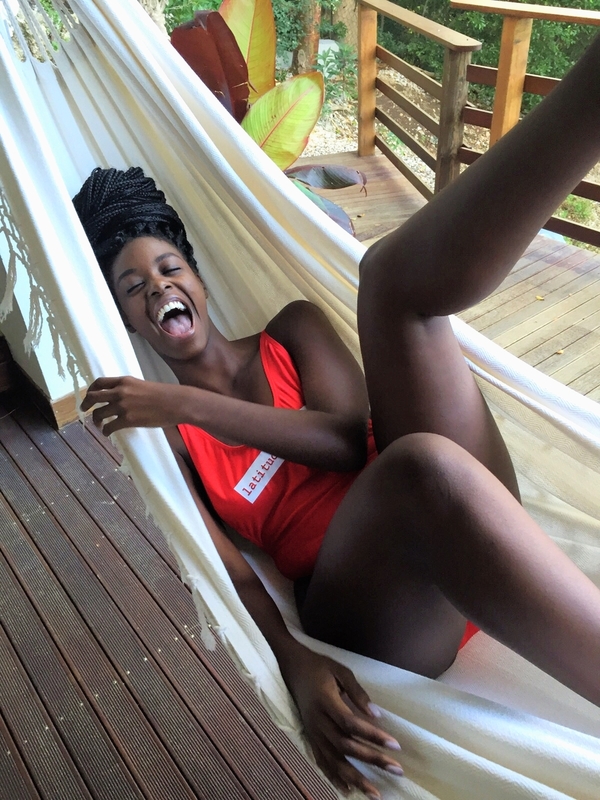 Farah on her recent trip to Guadeloupe in L+A swimwear!